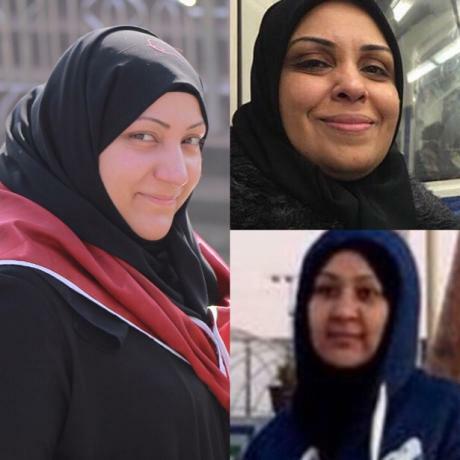 The three prisoners of conscience, Najah Ahmed Habeib, Hajar Mansour and Madina Ali, have issued a statement on Saturday, September 29, 2018, about the systematic harassment they were subjected to in Essa Town's prison for women. Thy reported that they were deprived on 16 September 2018 of the participation with the rest of the Bahraini detainees in the revival of the Husseini ceremony, forcing them to establish the funeral inside their locked cell. The Lt. Col. Maraim al-Bardouli came later, where she defamed and humiliated their religious beliefs and intransigence, and clashed with them. They were beaten and deprived of contact for more than a week. They added that al-Bardouli assured them that what they are exposed to is the result of the communication and media activity outside the prison, threatening them to take severe measures against them in the coming days if this activity continues. Al- Bardouli has already begun severe harassment and persecution, which has made them expect further escalation in the coming days, in a bid to suppress their voices and ensure that the facts are not passed on to their families. The three prisoners of conscience denounced the silence of the National Human Rights Foundation, for not taking any real action against the violations. They called upon the international organizations, UN rapporteurs and the entire world free people to intervene urgently to stop violations against them, and to hold those officials accountable for not complying with international treaties and conventions.